I made this dress for my niece based on a pattern that I had when I was a teenager. I could not locate Sofia’s old dolls in the attic (found all of the accessories), so broke down and bought a new one. 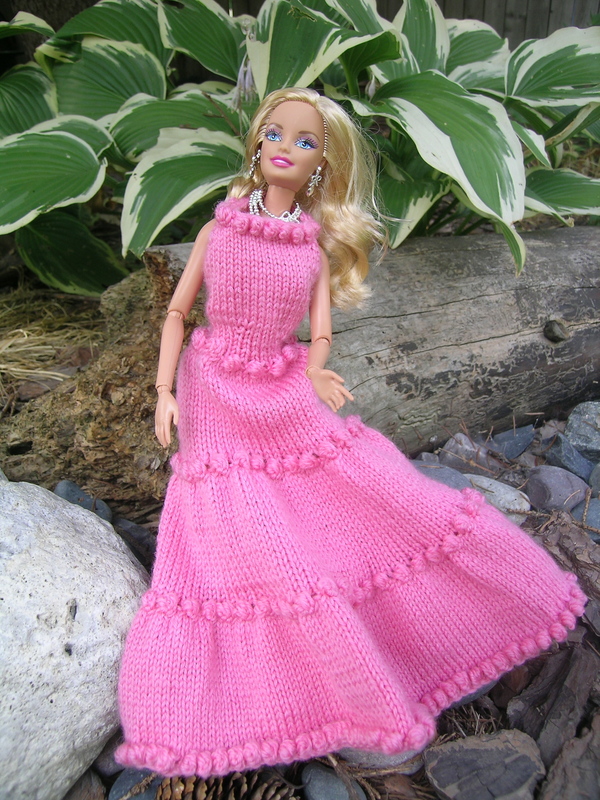 Much to my surprise, when I put the dress on that would have fit the old Barbie like something Marilyn Monroe would have worn, it is now baggy. I think that I prefer the old doll proportions. This one looks just as disproportionate, just in different ways, she seems very anorexic to me. I guess that I will have to modify the pattern next time. Wow! She even looks skinnier than I remember. 😦 That’s a little disenheartening! But, moveable arms! My Barbies never had that! Yes, the body looks a bit pre-pubescent with the legs of a basketball player. I prefer the old one, and all my cool clothes would fit too. Every decade (or sometimes less) Mattel changes Barbie’s barbie size. Sometimes to go with the times but mostly so the consumer has to buy all new clothing! It’s mainly a business decision to make more money! If you think this doll is skinny, check out the model muse gals! Now they are downright anorexic!